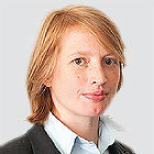 Fiona Harvey is an award-winning environment journalist for the Guardian. She previously worked for the Financial Times for more than a decade. She has reported on every major environmental issue, from as far afield as the Arctic and the Amazon, and her wide range of interviewees include Ban Ki-moon, Tony Blair, Al Gore and Jeff Immelt.